Ask Gina & Company held their second neighborhood clean up day in Rivercrest, a Potomac Falls community nestled just across the Fairfax County line. It was a damp and chilly morning, when Team AGC donned their vests and gloves and took to the pavement. 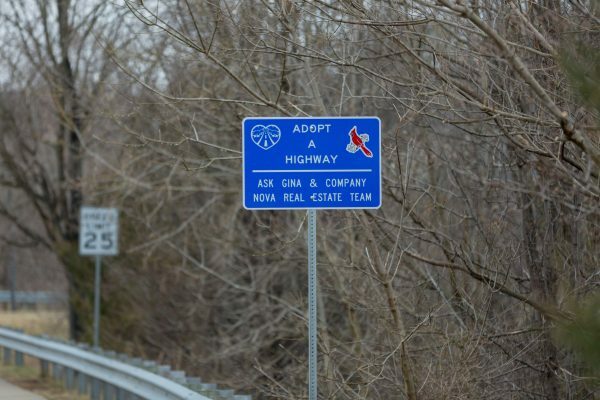 AGC’s adopted “highway” is River Bank Street, the only access route to Rivercrest, from Algonkian Parkway until it dead ends in Sisler Court. The route is about 2 miles total, with a little over half being residential homes that are well maintained and require little “clean up” – the remainder is bordered by treed areas which have proven to be a great hiding place for bottles, cans, socks, shoes, signs, pencils, oil cans, pipes, wrappers, and other odd forgotten items. This is our mission, to climb through the brush and collect these things, keeping the area beautiful.